My favourite time of the week - Friday lunch date with the bestie! A while ago, our destination was Sad Cafe in the East End, a place I've walked past countless times but never actually tried. 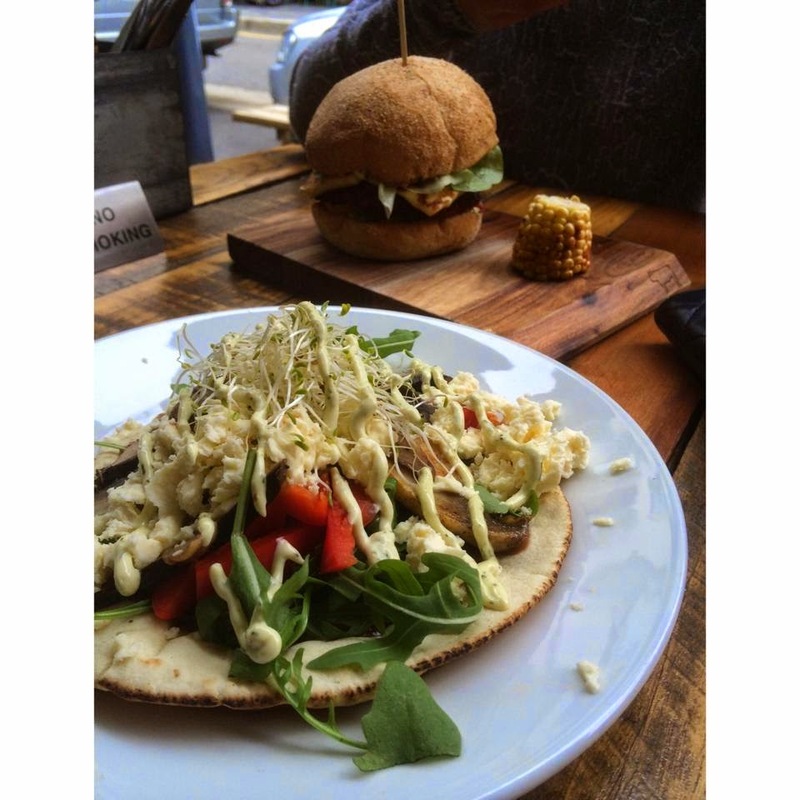 Angela was super keen to try out the veggie burger since it contained her favourite, haloumi! Angela had only good things to say about the veggie burger. So many positives in fact that on the next visit, it's what I'll be ordering! I've also heard only positives from other friends who have visited and ordered the veggie burger. I found my meal rather average. I did enjoy the combination of flavours together but there wasn't anything spectacular about it. If someone talked about a healthier, fresher version of a pizza, this is probably what I would picture. My favourite element was probably the spicy aioli which tasted great with the tomato chutney and mushroom elements. A pretty decent first impression, with the only let down being that we were forced to sit outside on a super windy day because seating inside is quite limited. The service was quite average and at the minimum standard you would expect at any good cafe - not bad but not amazing either. I'll be back for that veggie burger!